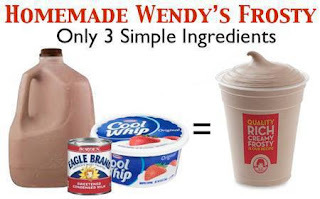 Mix all the ingredients FIRST, then pour it into the ice cream maker. Mix for 20 to 30 minutes until it reaches frozen perfection, pour in a big glass, insert straw and drink! Directions: Place all ingredients in blender and blend until smooth.